Several events have taken place in past ten years, which have international ramifications affecting Insurance markets across the borders. September 2001 terrorist attacks on World Trade Centre have ate into the capital of insurance markets and led to several Reinsurers going bankrupt. December 2004 Sumatra Indonesia Tsunami killed 230,000, Lack of an effective international warning system contributed to unprecedented loss of life when a tsunami devastated countless communities around the Indian Ocean and stunned the rest of the world. The United States has since accelerated preparation for a potential tsunami along the U.S. coastline and built partnerships for an international warning programme. Sub Prime Crisis commencing in 2007 largely influenced the performance of the Insurance sector in 2008-09. The recession has slowed down trade and created credit defaults in several countries. It has shaken, AIG the largest insurance company in US and almost all major insurers across the countries are forced to reaffirm their financial strength by greater transparency in financial disclosures. As a consequence of impairment of value of investments both Banks and Insurance companies were forced to recapitalise to meet regulatory requirements. The G-20 has recommended making capital adequacy and solvency norms more robust for various types of financial enterprises, more comprehensive regulatory oversight, and increase surveillance of large and systematically critical financial entities and greater sharing of information across countries. IRDA has come out with new & exclusive ‘corporate governance regulations’ and is also in the process of bringing out ‘merger and acquisition regulations’ to protect the interest of Policyholders and ensure development of Insurance industry on strong grounds. In 2008, Ford Motor Co. agreed to payouts of up to $500 per plaintiff, in the form of discount vouchers, to settle a diminished-value case on behalf of 800,000 customers after a tire recall prompted concerns about potential rollover crashes in its Explorer sport utility vehicle. In 2009 Toyota Motor faced US Congress scrutiny over safety recall of millions of cars in US, Europe and China due to problems with unintended and dangerous acceleration. Toyota Motor Corp. announced in September 2009 that it would recall some 3.8 million vehicles in the United States because of the risk of improper-fitting floor-mats jamming accelerator pedals in several models. “In each case, the agency closed the investigation without finding any electronic engine control system malfunction to be the cause of unintended acceleration,” Consumer lawsuits seeking economic damages for diminished value or lost use of a recalled Toyota vehicle have been filed in at least 30 states, mostly in federal court, and could end up costing the car maker over $2 billion. A class-action suit was filed in Los Angeles on Monday on behalf of U.S. shareholders accusing Toyota of misleading investors. Automobile giant Honda is recalling 646,000 Fit/Jazz and City automobiles worldwide to fix a `window switch defect’ that could cause `fire’. Honda recalls covers models sold in Americas, Europe, South Africa and Asia,Â but not Japan. State-of-art satellites launched by a country to provide service to other countries in launching their payloads create liabilities across the borders of one Nation. Aviation accidents taking place across the world spread liabilities across several countries, due to their countrymen traveling across the length & breadth of this world. The U.K. Protection & Indemnity Club provided liability coverage for a Eagle Otome – Singapore-flagged, a double-hulled oil tanker that spilled about 462,000 gallons of oil into an inland waterway near Houston last week. The oil tanker collided with a barge while transiting the Sabine-Neches Waterway off Port Arthur, Texas. Authorities closed the waterway to clean up the spill-the worst oil spill in Texas since 1994, they said. Liabilities due to Natural Catastrophes like earthquake / storms / floods are running in billions of dollars and need sharing capacities created across the world in insurance as well as other nontraditional sectors. General Insurance Corporation (GIC) is setting up a natural catastrophe pool for insurance and reinsurance companies in Africa and Asia. It will have an initial capacity of $500 million. The pool will be functional by April 1, 2010., to be called ‘FAIR Natural Catastrophe Pool’, by a voluntary industry organisation, the Federation of Afro-Asian Insurers and Reinsurers (FAIR). The International efforts to combat money laundering and terrorism financing have been brought forward as 28th regulation by IAIS leading to national regulator forming new guidelines. The developments like Climate Changes caused by global warming are going to trigger unknown and unpredictable liabilities across the borders. Panel on Climate Change carried the warning of a future characterised by extreme weather events as a result of rising global temperatures. There will be long and intense droughts, fierce hurricanes, heat waves, and rising sea levels. While averting natural catastrophes is beyond the realm of the financial industry, mitigating the financial impact could soften the suffering and distress caused by these disasters. With proper and adequate insurance coverage, those affected can be compensated for their financial loss so that communities can be rebuilt and economic activities resumed. The Genetically Modified Organisms like Bt cotton. Bt brinjal, long shelf life tomatoes, high Protein Golden Rice, yet to be tested for its long term carcinogenic and toxic impacts on human health. A federal court jury in St. Louis, Mo., has ordered the German conglomerate ‘Bayer Crop Science’ to pay $1.5 million to farmers in Arkansas and Mississippi whose rice seed was contaminated with a genetically altered strain. Bayer’s negligence was directly responsible for the loss of the European market. It is therefore, distinctly evident that international development and external shocks impact the insurance market globally affecting insurance exposures and liabilities across the boarders. The high degree of vulnerability of economies to external shocks requires the strategy of broader and deeper cooperation among countries to protect the interest of their industry and Consumer. The Developing and developed economies are more vulnerable to these external events due to their limited capacities although exposed to the effects of potential global risks. The 9/11 Terror attack of WTC affected the insurers/ reinsurers global capacity to withstand damages of that magnitude, causing several global reinsurers to close shutters, leaving smaller countries exposed to terrorism, to fend for themselves. 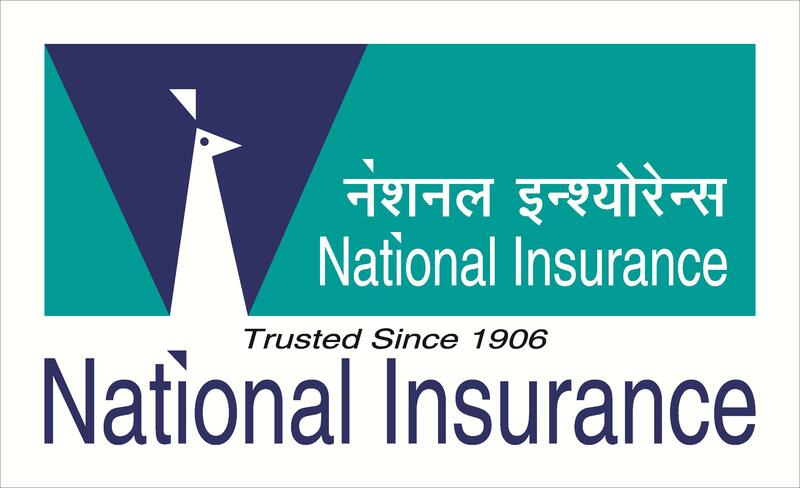 Indian insurers without government backup faced the situation by formation of ‘Terrorism Pool’ with its limited capacity, while US saw 90% of risk being born by State. The world is witnessing far reaching structural changes, due to formation of European Union, expanding horizons of terrorism across the world, international competitiveness because of evaporating barriers of international flow of goods, services, capital, money, and information. These changes have led to globalization of the trade and commerce with newer challenges. Insurance is the most basic financial mechanisms for dealing with risk and plays a vital role in our economies. Globalization is a multi dimensional process that transforms all activities and interactions, affecting laws and regulations, which may or may not be in direct control of a nation. In the whole process of globalization, the importance of global regulatory cooperation in ensuring open, competitive, and stable financial markets including insurance markets has become prominent. The International Association of Insurance Supervisors (IAIS) since 1994 is recognised as the ‘standard setting body ‘of insurance supervision. The Insurance supervisors/ regulators are faced with globalization, economic uncertainty, climate change, development of new markets and financial innovations which reinforce the need to cooperate to develop consistent standards reach out to emerging markets. Such cooperation is needed to strike the right balance in globalized world by protecting investors (capital), policyholders (consumer) and enhancing financial stability (of insurers) on one hand and encouraging innovation foreign direct investment (competitiveness), and market efficiency on the other hand. 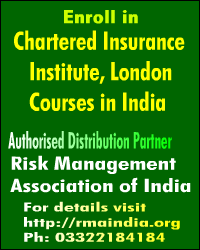 International convergence of global standards is central them in the prudential regulations in insurance markets. IAIS promotes global principals, standards and guidance to improve consistency of policyholder treatment and market consistency across jurisdictions to cope with the difficult issues of cross borders and cross sector business, risk taking and innovation. Driven by technological innovations, the barriers that once segmented the insurance market, are witnessing convergence in delivery of products. The banks with more capital and greater opportunities to cross-sell insurance are becoming a threat to non-diversified insurers. The competitors like retailers, malls, finance company, and Internet providers using IT platforms; are circumventing traditional marketing and distribution channel like agents. This has brought its own pitfalls due to faceless interface and requires regulations to protect Policy Holders interest. The insurance industry is undergoing radical transition from domestic focus to doing business in a global market. IAIS is allowing for evolution from ‘box-ticking approach’ to ‘principle based approach’. Principle based regulations are broad-based and out-come focused, better able to support innovation and product development as against prescriptive rules. Principal based regulations allow flexibility to respond to different types of market circumstances. The technological and scientific progression is strongly based on RISK BASED approach. The solvency, valuation and risk management standards are required for further development in meeting future challenges. The solvency II norms to be implemented by 2012 in India aims to achieve convergence with global standards in key areas including international accounting standards. IFRS can also reduce cost of capital and allow comparison of cross border investment. The insurance companies and intermediaries need to adapt the fluid business environment. THE ENRON type fiasco has demonstrated the importance of D& O liability covers across the borders.Â World-class regulatory framework will be required to facilitate planning by corporate to go overseas and allow foreign insurers to come to us. The demand for increase in FDI in insurance sector and relaxation in period for brining IPO is engaging the Indian regulators attention; so as to bring harmonized regulations converging with SEBI and RBI in a rational manner. The principal based approach for insurers implies a shift in focus from legally driven compliance process with detailed rules to managing the delivery of defined out comes with fewer certainties about what process need to be in force. As a result greater responsibility is fixed on executive management with professional judgment as provided by the transversal organizational functions such as risk management, internal audit and compliance. The importance of good ‘corporate governance practices’ remains the basic level of success of any company. Ensuring, that Directors are aware of their fiduciary duties, means they are well informed of the standards required by them both by law and practice of the country in which they are working. Globalization has also brought several constraints to insurance regulations. How should we work from our international obligations while respecting rights of other nations to regulate their own insurance industry? The optimal regulatory structure needs to attract capital based on effectiveness in promoting innovation, managing system wide risks and fostering consumer and investor confidence. The regulatory authorities need revaluation and adapt to reflect such changes taking place. Recent developments in solvency, governance and group wide supervision have become an important area of attention. 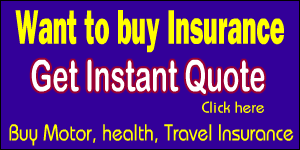 The use of technology is facilitating insurance company to do business all over the world. The information revolution is changing the way insurance is sold by delivering products in their homes of consumers. This empowerment of insured is undesirably empowering scrupulous insurance operators exposing consumer to greater frauds. Laws are needed to plug these through enhanced financial solvency, to educating customers. The on-line transactions by agents, providers and consumers have also brought forward need for new regulations applicable across the boundaries. The “privacy of customers” is another issue especially when the information relates to one’s medical information or his credit worthiness. The regulations are required not only for collection of more information and data but also on intelligent ways to use that information.Â The impact caused by Genetically Modified Organism, Carbon Credits, and Global Warming requires regulations at international level so as to effectively regulate national laws. We look forward to seeing global seamless markets though we have only national or local regulators. Solvency legislation / Risk Based Capital & Reinsurance have made insurance firms as cross border actors.Â The ideal solution to connecting global markets would be to have a global regulator. The European Union – who now shares a common legal structure, common legal and financial burden, have not been able to conclude feasibility or desirability of single EU wide financial regulator.Â In India we have yet to decide on single Financial Services Regulator in place of RBI_SEBI_IRDA. There is greater need for various regulators to coordinate their enforcement and regulatory activities in a way that reflects global nature of insurance markets. The IOSC / Basel ll/ Common Banks Supervisor / IAIS and FATF / OECD have done a lot but proper legislation will only provide the basic safeguards. In the Financial Sector Assessment Programme (FSAP) the IMF and World Bank regard the core principles developed by IAIS, Basel Committee and IOSCO a pre requisite for any effective supervision regime. The Insurance Regulatory and Development Authority (IRDA) has said that the Securities and Exchange Board of India’s (Sebi) notice to insurance companies on unit-linked insurance plans (Ulips) sold by them was “misconceived on conceptual, legal and structural grounds”.Â IRDA’s letter to the market regulator comes after the latter’s show cause notice to insurance companies last month, asking why they had not taken Sebi’s approval to sell Ulips. To obviate such instances there is definitely a strong need for new harmonized legislations to modernize the regulatory framework, to best serve our interest and global economy in maintaining insurance market that attracts capital and does not setup artificial barriers.